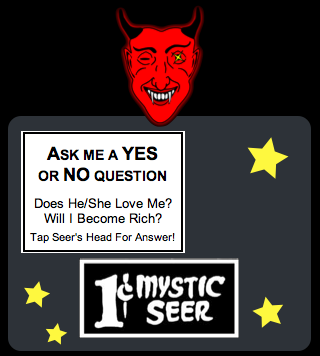 About Mystic Seer It all begins with a simple Yes or No question, but the Mystic Seer knows all and will keep you spellbinded as he carefully tells you your future. But don't get too addicted! You may find the answers to your questions upsetting.